Bristol Rovers FC Academy visit Plymouth Argyle in the Youth Alliance South West League. The target is to qualify for the YA Merit League Division ONE which begins in February 2017. The TOP 5 teams from the South West Division will go into the Youth Alliance Merit League One. The BOTTOM 5 teams go into the Youth Alliance Merit League Two. 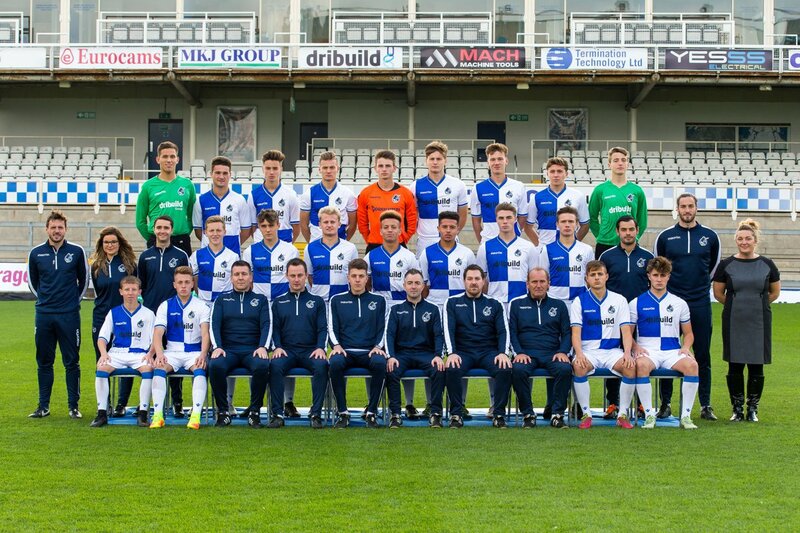 Bristol Rovers FC Academy last match was against Yeovil Town on Saturday 3rd December 2016. The result was a 2-1 victory with goals from Jordan Carey and Lewis Ellington. The Bristol Rovers Under 18 Academy team now have 3 AWAY games remaining. BRFC Academy Fixtures and Results for the 2016/2017 SEASON. Sat 6th AFC BOURNEMOUTH H 0-0 D.
Sat 13th Exeter City A 3-3 D.
Scorers – Lewis Leigh-Gilchrist and Rhys Talmash (2). Sat 20th PORTSMOUTH H 2-4 L.
Scorers – Lewis Ellington and Luke Russe. Sat 27th Cheltenham Town A 4-1 W.
Scorers – Rhys Talmash, Lewis Ellington and James Spruce (2). Tue 30th Swindon Town A 1-2 L.
Sat 3rd Oxford United A 2-1 W.
Scorers – Lewis Leigh-Gilchrist and James Spruce. Sat 17th YEOVIL TOWN H 5-1 W.
Scorers – Lewis Leigh-Gilchrist, Tyrone Tucker-Dixon (2), Luke Russe and James Spruce. Sat 24th Plymouth Argyle H 5-2 W.
Scorers – Lewis Ellington (2), Rhys Talmash and James Spruce (2). Sat 8th SWINDON TOWN H 3-2 W.
Scorers – Lewis Ellington (2), and James Spruce. Sat 15th NEWPORT COUNTY H 0-5 L.
Sat 22nd EXETER CITY H 2-3 L.
Scorer – Tyrone Tucker-Dixon (2). Scorers – Tyrone Tucker-Dixon and Tom Mehew. Sat 29th AFC Bournemouth A 0-4 L.
Sat 5th Portsmouth A 2-3 L.
Scorers – Jordan Carey and Lewis Ellington. Sat 12th CHELTENHAM TOWN H 4-1 W.
Scorers – Jordan Carey, Lewis Ellington (2) and James Spruce. Sat 19th OXFORD UNITED H 1-0 W.
Sat 3rd Yeovil Town A 2-1 W.
Home Fixtures on Saturdays are scheduled for 10.30am. Away Fixtures on Saturdays usually start at 11.00am.